‘You see, my dear, it’s all about the little grey cells,’ I say smugly, tapping my head with a wise forefinger and reaching to twirl my moustache. 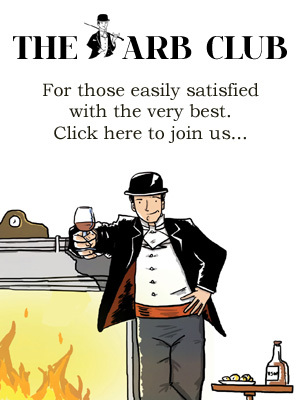 Except of course I don’t have one because I am not, in fact Hercule Poirot, but your humble scribe. My wife gives me one of those looks and disappears into the warmth of the marble-encrusted bathroom. We’re staying at The Wellesley, Knightsbridge’s latest luxury boutique hotel, and I’m loving every minute. Not because I’ve always secretly wanted to live out a 1920s Agatha Christie existence (although I have) but because this place is the brainchild of Khalid Affara, the Wellesley’s owner and creator. And Khalid, let me tell you, is a cigar man. You’ll see him in Havana, buying stock and you’ll see him in the capital’s cigar bars, enjoying them. 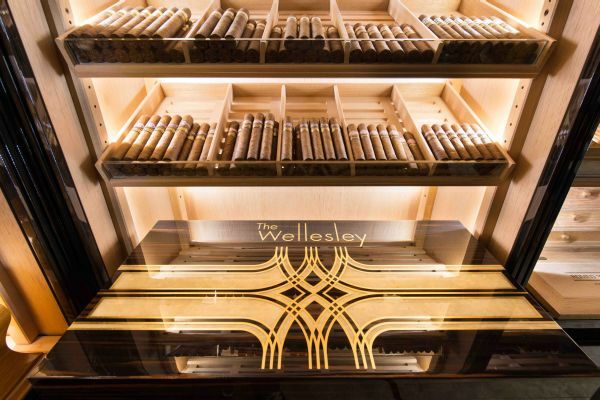 Every nuance, detail and thought that has gone into The Wellesley comes from a cigar-obsessed mind. Note that pattern on the tiling of the front vestibule? It’s the same pattern as that found on a Dupont lighter. The hotel’s humidor? Handcrafted in Italy from the finest materials; it even includes a laser-engraved silhouette map of Cuba in the marble flooring. 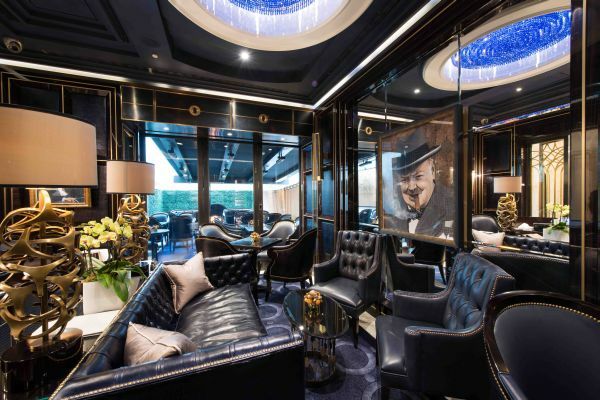 The chairs on the hotel’s two terraces are custom-made to Khalid’s design, the armrests set at the appropriate height to comfortably rest your cigar arm and reach your ashtray. All these facts and more means cigar lovers will feel right at home, whether smoking or not. The terraces are warm, with fires burning at one end and overhead heat lamps gently toasting the tabletop in front of you. Screened by an artificial ‘hedge’ and covered by a close-fitting canopy, they defeat the elements too, so don’t fret over winter chills. And, unusually for terraces and cigar bars in London, a full à la Carte menu is available at your table; everything from pizzas to a fillet steak with porcini mushrooms. Chances are you’ll see Khalid himself on a table next to you, enjoying one of his fantastic personal stash of Havanas or perhaps one of the secretly-blended house specials. If you would like one of these big, bold sticks, the man to ask is Food and Beverage Manager, Giuseppe Ruo. 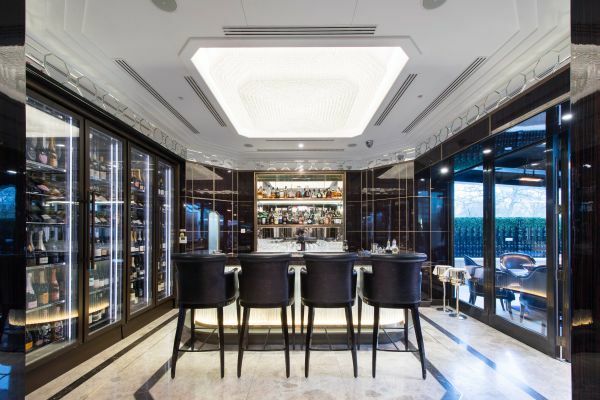 The incomparable Mr Ruo (formerly of The Garden Room at The Lanesborough) has built an incredible selection of cigars and drinks here. Cognac from the 18th century can be found in the cabinets, and cigars – available as single sticks up to a heart-stopping £3,000 each – are without doubt the finest collection on sale anywhere in the country. The sweet-smelling humidor has a discreet selection of personal lockers, which are reached by a library-style sliding ladder. I can’t think of a better cigar spot in London. It even opens first thing in the morning and has a 3am licence. Don’t forget The Wellesley is a hotel too though, with 36 stylishly presented rooms. Electric curtains, free Wi-Fi, a tablet for internet browsing and butler service is available for each and every room. It’s a pleasure to take your time with your ablutions in the splendour of the bathroom – the monstrous showerhead was magnificent – before sauntering downstairs in your evening best. A glass of Champagne in the Jazz Lounge perhaps, while the maestro tinkles the ivories? Then it’s over to the Oval Restaurant for honest, seasonal fare from Italian Chef, Stefano Stecca. There are just 28 covers in this intimate setting and while we thought it odd that some tables were laid so that diners sat next to their partners instead of across the table, The Oval is elegant indeed. Having only opened in December 2012, The Wellesley is now starting to hit its straps. It’s going to be popular. If you are planning a visit, don’t leave it too long; you may have to have an extra glass or two in the Jazz bar while you wait for a table to become available. The Wellesley is offering a truly indulgent package for Easter 2015, which includes an overnight stay for two in one of their sumptuous suites, a delectable chocolate Easter Egg from Harrods. What’s more, a host of amenities and services await, including a 24 hour personal butler service and access to The Wellesley’s Rolls-Royce to parade around town. One might wish to pull up at Harrods and visit their Faberge display, say. 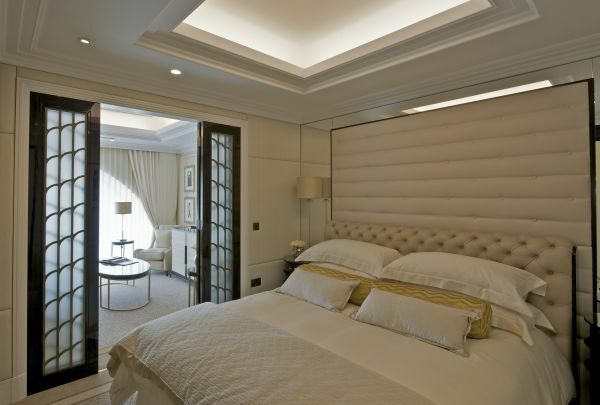 The package starts from £325 per suite, per night. For more information or to book, visit www.thewellesley.co.uk or contact the hotel on +44 (0) 20 7235 3535.